Back when the Inspy Romance Blog started, a friend of mine asked if I was interested in joining. At the time, I was on another group blog, had one of my own, and was up to my eyeballs in deadlines. I declined. 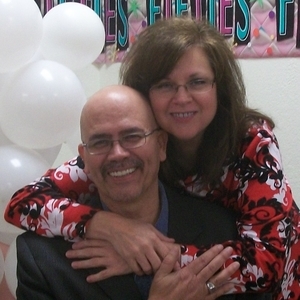 Over the years, I checked in with Inspy Romance several times and was very impressed. It connected with readers – something I love to do. I mean who could be better to talk to than fellow book lovers. I regretted not joining. Especially after I was asked to be a guest a few times and got to chat with so many readers. I finally told Elizabeth that if they ever needed a new member, to hit me up. So here I am. It’s official, I’m an Inspy Romance blogger. And I’m so excited! Since I’m new here, I thought I’d tell you a bit about myself starting with my rough and tumble journey to publication. It took me 9 1/2 years to get published. During those years, I stopped counting rejection letters at 200, attended countless writers conferences, group meetings, and workshops. Discouragement made me want to quit numerous times. But every time I was down, God would send encouragement by letting me place in a local writing conference contest or an editor would take time to write an encouraging tip on a rejection letter. In 2001, I thought I’d made it, but it turned out to be a big letdown. I got an offer from a Print on Demand publisher. I didn’t even know what that was, but soon learned it meant the book could only be ordered online. Back then, no one ordered books online—especially books by authors they’d never heard of. And the book was painfully overpriced. Once we learned my book wouldn’t be in stores, my husband pulled something shifty for me. He went to our local Hastings store to order my book. He planned to not pick it up, so they’d have to put it on their shelf and someone might buy it. Yes, he’s a pastor, but he only does shifty things for me. But when he ordered the book, the store clerk said that title wasn’t in their system, but another title by the same author was. Huh? That’s how we learned that another POD publisher had published my first without my knowledge after sending me a rejection letter. I had to hire a lawyer and it got ugly. We ended up getting publication discontinued and taking the book off of websites, but I never got royalties for the whopping three copies sold. I really wanted to quit after that. I tried to quit, but I couldn’t. Every time, I tried, I’d get all these ideas for books. God instilled a driving force inside me and sent more encouragement through honorable mentions in magazine writing contests. In 2008, two of my short stories were published in magazines. In desperation, I wrote two versions of the same book – shorter length and longer length, so I could shop it around to more publishers. Finally, I got an offer from two publishers in 2009, one for the short version and one for the long. I signed with an agent and she thought the longer length publisher would be best for my career. A month later, in the middle of negotiations, the contract was withdrawn. When my agent gave me this news, she assured me it was okay because she’d accepted the contract from the shorter length publisher. That bothered me because she made the decision without consulting me. In the end, I learned that my agent had a bad rep in the industry, had lost my contract, and was on the verge of losing my new one. Once again, discouraged, I discontinued our association and went it alone. The whole thing cast a pall over my first book getting published. Over the next two years, I signed three contracts and had three books published by Heartsong Presents. And the rollercoaster went up again. But the worst was still yet to come. In June, 2011, after five contracts and four books published with Heartsong Presents, I was walking on air. I’d just turned in my fifth title and spent a great weekend in Springfield, MO teaching classes at a romance writers conference. When I got home, I got an e-mail. My publisher had decided to discontinue the Heartsong Presents line. I still had one contracted book and another verbally committed to for publication with the line. I thought my two babies would never see the light of day and I might never get another book published. My new editor told me that the two remaining books would probably eventually publish as e-books, but to wait on writing my sixth title until the dust settled. Back to my story – that September, I attended the ACFW Conference in St. Louis. Despite my dim future, I was excited because I got to teach a class. More God-sent encouragement. I ran into my editor and she said to write my book because another publisher was buying Heartsong, but she couldn’t tell me who. My heart soared and I walked on air through the rest of the conference. At the same conference, I met with a publisher who expressed significant interest in a longer length romance from me. For the next three months, I wrote my sixth Heartsong title with no idea who I was writing it for. Weeks before my verbal deadline, I got an e-mail announcing that Harlequin was my new publisher. Publishing is still a roller coaster. That publisher interested in a longer length book from me went out of business. In 2012, I signed with a new agent, the perfect fit for me. She landed me a contract with Harlequin to continue my rodeo series I began with the former owner of Heartsong and I got a new contract with them for six more books. When history repeated itself and Harlequin decided to end the line, God worked out a deal to release my four remaining contracted books in the Love Inspired line. I tell people, I slipped through the back door at Harlequin. Twice. Even with the ups and downs, I still love writing. 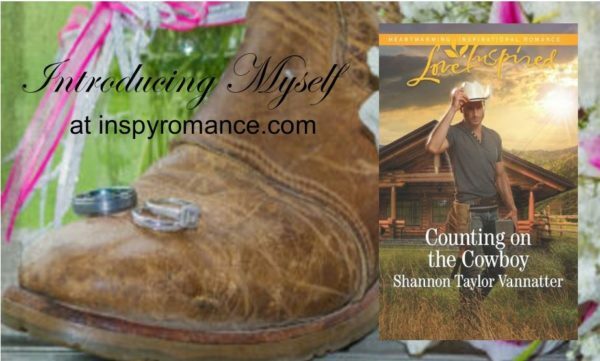 Counting on the Cowboy is my fifteenth published title. And that’s not even counting the two POD books. God gave me a calling. He didn’t say it would be easy or that great success would come with it. He just said, do it. So, until He tells me to stop, I’ll keep writing. And collecting seashells to fill up my new office. How about you? What do you collect? Do you have any rooms at your house that still need trim? Hi Shannon, wow, what a journey! Welcome to Inspy and thanks for sharing your story. Life certainly has ups and downs and I admire your courage to keep moving forward during the downs- reminds me of Tauren Wells’ awesome song “Hills and Valleys”. Hi Wemble. If you look up the word persistence in the dictionary, my picture should be there. I haven’t heard that song. I’ll have to check it out. Hi Shannon! Thanks for sharing your story. Glad to hear your perseverance paid off after seasons of ups and downs. I live in a brick ranch in Michigan and some rooms need to be repainted. Our oldest two sons do remodeling and have rooms with no molding. As retirees we are trying to downsize. My two loves are reading and photography. So those are things I collect, but most of those are digital. Reduces the clutter. My desktop computer stores about 30,000 photos. My phone has at least 5,000 photos. Most of these pictures my 4 grandchildren, especially by two granddaughters ages 4 and 15 months old that I watch 4 days a week. My grandsons ages 12 & 10 have school, so I do not see them as often. While I have books in every room of my house, I also have over 600 ebooks. Welcome to Inspy Romance and Best Wishes. What is it about trim, Renate? It’s always the last thing that ends up not getting done. Sometimes for years. I think it’s partly because it’s so pricey. For me anyway. We go to get it and realize it’ll be 60 bucks for one room. Maybe I need to buy a strip at a time. On top of that, my husband hates installing it. Cutting all the little angles and getting it just right frustrates him. Digital does take up less space. But I love looking through actual pictures in photo albums or decorative boxes. Those pretty boxes fixed my world. I used to feel guilty for not having our pictures in albums. Now I put them in pretty boxes and feel no guilt. We still have a digital camera and I have about 250 in it. Eventually I’ll get them out. And with books, I still like seeing them lined up on my shelf. So I guess I’m pretty cluttered. Shannon, what a journey your writing career has taken. I admire your perseverance. I’ve read 4 or 5 of your books and enjoyed them so I’m thankful you stuck with it. I collect quilting fabric and eBooks. Thanks Sherri. I hope you liked the books. I have a fabric stash too. I don’t sew quilts or clothes, but I make curtains and bedspreads. I also recover chairs. Like dining chairs where the pads come off – nothing too complicated. I’ve made all of the curtain toppers in our house including the ones I made recently for my new office. They’re made from pastel seashell fabric that I bought 20 years ago. I bought it because I loved it and thought if I ever had a room of my own, I’d use it. Tada. It just took 20 years. I did make a quilt top out of precut squares once and my grandmother quilted it for me. Welcome!! We have trim in all the right places but I have boxes in my sewing room that I need to unpack. Possibly in the summer when I’m not doing daycare for my grandchildren we’ll attack the remaining boxes. Hi Diana. We just did a major remodel, so we had lots of things in boxes from walls and built in shelves that are no longer there. It was like we moved, but we didn’t. The remodel started in November and I finally got all the boxes emptied a couple of weeks ago. But I still have a bunch of wall decor in a corner that needs a place to hang or a new home. It’s nice to “meet” you! Thanks for sharing your story. Hi Shannon. Welcome to InspyRomance. It’s always nice to hear an author’s story. Thanks for sharing. Hi Priscila. I always tell aspiring writers that if I can get through all that, they can too. I always hope no one else’s journey is as wild as mine though. As for collecting … the only thing I really collect is books–and my shelf happens to be full of 15 Shannon Vannatter books! You rock, Brenda. I have 7 books by Brenda S. Anderson on my shelf. I just need the new one. Wow, Shannon. I love how the Lord sent you encouragement at just the right moment. I can really relate. I’m so glad you didn’t give up! Welcome to the Inspy Romance Blog! Hi Kimberly. Maybe if He hadn’t sent me encouragement, I might have given up. But it seemed like He wanted me to keep trying, so I did. Thanks. I’m so excited to be here!!!! Welcome to Inspy Romance, Shannon! We’re so happy to have you here, and I want to thank you for your personal blog and how many authors you’ve showcased there over the years. You’ve honored me and dozens (hundreds!) of others, so… thank you. My house will always need trim. I collect two things, but have tried to stop both since we have a very small house. The first is Christmas angels, and the second is pottery from the places we’ve traveled to. Oh, and seashells from ocean trips, but I don’t have that many and I haven’t figured out how to display them. My granddaughters love to look at them, though! And love the video on my phone of a Florida Fighting Conch flipping itself over on the sand. Thanks Valerie. I always hope my blog introduces readers to new to them Inpsirational authors. Our house may always need trim too. I have a friend who collects angels. I always buy one for her for Christmas. I put my seashells in jars and vases, preferably with lids. I also have a breadbox I bought at a flea market with a wire front. It holds a bunch. That sounds like an awesome video. Welcome, Shannon! Wow, what a journey! I’m so glad you stuck it out. Your story is so encouraging for up-and-coming authors like myself. I love collecting books, movies, and wind chimes. Hi Andrea. I always hope my journey will encourage and not discourage. I guess all authors collect books. We have a pretty big collection of movies too. My mom loves wind chimes. Hi Cecilia. I hope your journey wasn’t as hard. Thanks. I’m so glad to be here. Hi Jennifer. I hadn’t really thought about it as a testimony. I’ve shared it as a keynote at a conference, but you’ve made me see it in a different light. Thanks for sharing your story. You have had quite the journey. I collect books (both print and e-books) and cat figurines. I used to collect stamps, but haven’t worked on my collection in years. Hi Margaret. How funny about the outlet covers and light fixtures. His wife must have been a very patient woman. My dad used to be a carpenter. My parents house used to always have unfinished trim. I think it’s all done now. Thanks for sharing your story. I’m glad things are better for you. Me too, Mary. It made me tired just retelling it all. Welcome, Shannon! You definitely have persevered. Your journey is an inspiration. I collect snow globes, but I’ve given many away to our son, who loves them just as much. I love snow globes, Julie. I bought a cute initial one recently. It has a little silver S in it. I just couldnt leave it on the shelf. Thanks Julie. That’s music to my ears. What a great testimony to God’s grace and unending care for us! I needed this reminder. Thank you for sharing it with us. As for parts without trim? Oh yes. We are getting the house ready to sell, so there is much construction and work going on here. His Susan. I’m glad I’m not the only one with trim issues. Wow! What a story, and what perseverance! I have read part of your story on several blogs, and still love it! 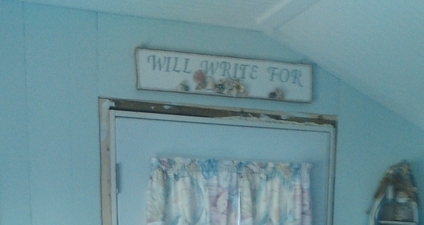 Some of our rooms that still needed work on, are finally getting done now that my hubby has retired. It’s just hard to get to when he was tired and busy. We collect coffee cups from the places we have traveled. My hubby likes to drink out of the different cups and recall our fun memories that we made. Welcome to Inspy! Hey Becky. I have shared parts of it before. But never the whole story. I was hoping no one would be bored with it. Yay for your husband’s retirement. and getting your work done. We collect coffee cups too. Not so much places we’ve been, just some we like. I have two favorites. One says, Please do not annoy the writer, she may put you in a book and kill you. The other says, All I want is to sip my coffee and pet my cat. Our kitchen is coffee themed and we two racks where we display our favorite mugs. The writer one is on my desk though. Welcome to Inspy! You know I love your books! I collect angels! Thanks Shelia. You are an angel. God certainly taught you to persevere. What faith! I collect Disney stuff. Purses. Clothes, dolls, pins. I have a little bit of everything. I don’t buy so much now. Oh the clutter. Hey Gina. During all those years, I never said if I get published. Only WHEN I get published. I guess any collection causes clutter. Welcome, Shannon! So good to have you join us! This writing business really is a roller-coaster ride. All we can do is hold on tight, trust God is in control, and keep writing! Hi Shannon. I love that you persevered in your writing. You’ve had quite the ride to get where you are! Thanks for sharing with us and welcome to this blog. I enjoy hearing from all the authors. Thanks Winnie. I love getting to know readers. I just don’t understand people who don’t read. Yay! So glad you’ve joined us. And I second Valerie’s thanks for having showcased so many of us on your personal blog! Thrilled to be here, Elizabeth. I just want to help readers find great authors through my blog. Welcome Shannon, wow what an interesting journey and roller coaster ride. All those rejections would make anyone discourage but I am a firm believer that God takes us through certain situations to make us stronger. Your journey is an inspiration and shows us that no matter what, never give up on your dreams. I’ve definitely toughened up over the years. I used to wail and cry when I hit a roadblock. Anymore I just wait to see what God has for me next. You definitely will love this group. Welcome, Shannon :) We’re glad you’ve joined us here at Inspy Romance! Thanks Narelle. Glad to be here. Hi, Shannon. How special that God’s leading has been so evident in your career. Look forward to learning more! Hey Jennifer. I definitely wouldn’t be here without Him.